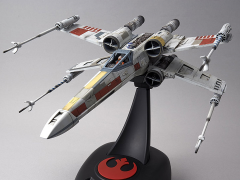 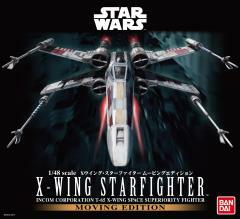 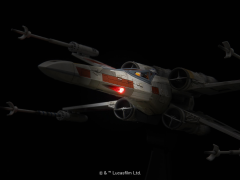 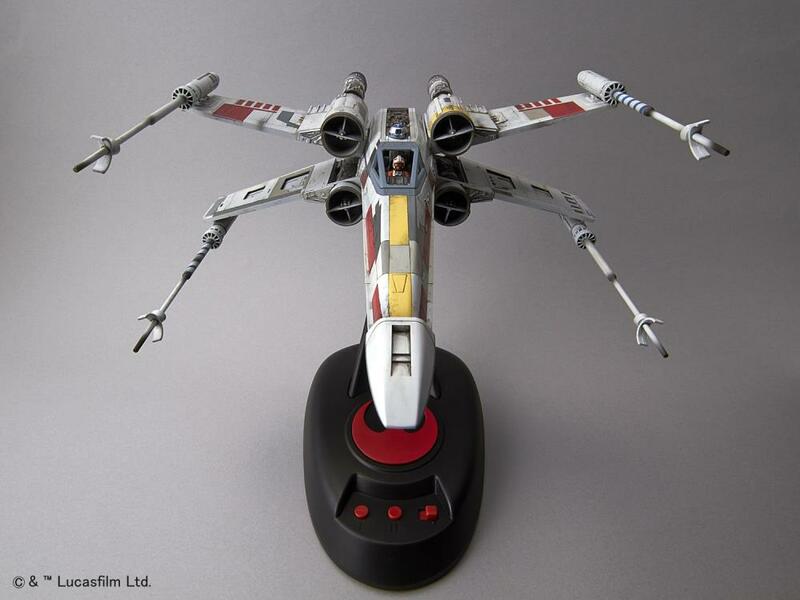 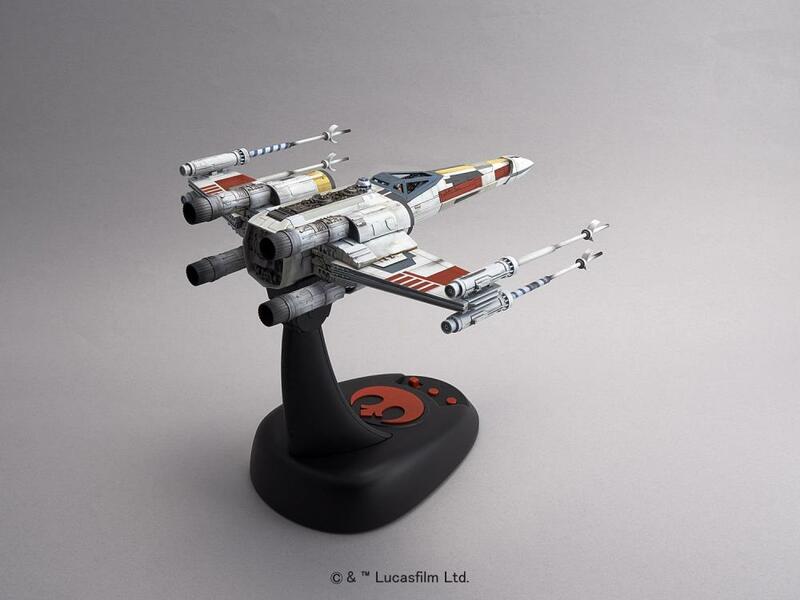 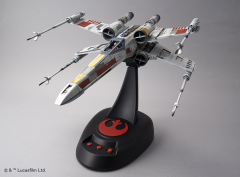 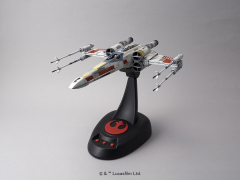 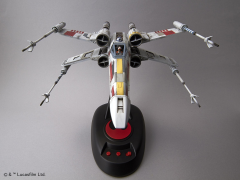 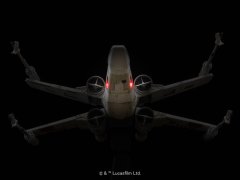 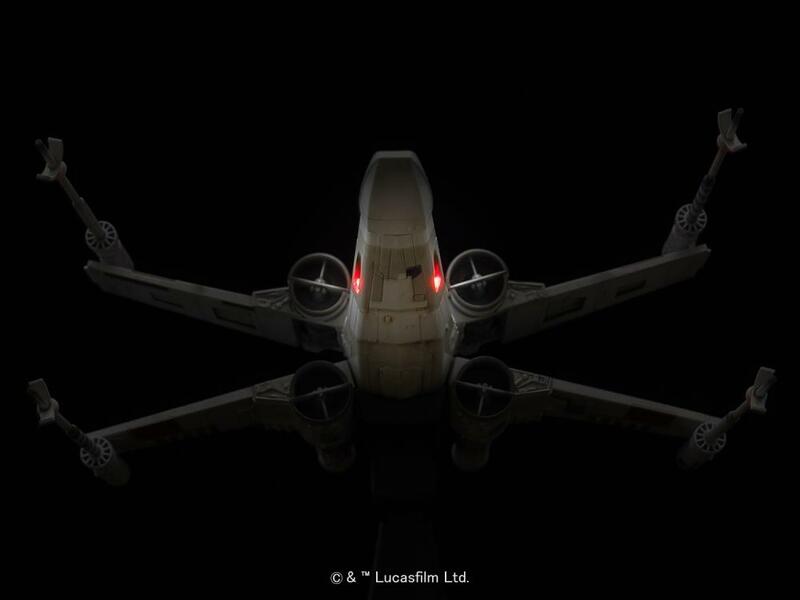 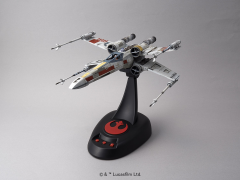 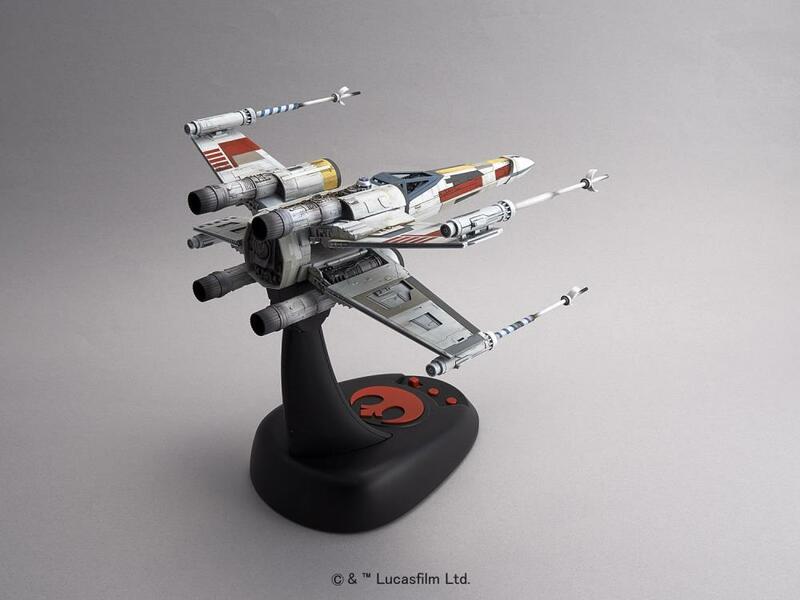 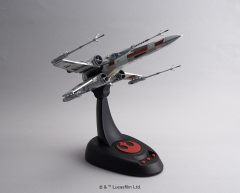 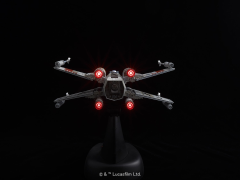 New from Bandai Hobby comes the first moving edition Star Wars Plastic Model: The 1/48 X-Wing Starfighter! 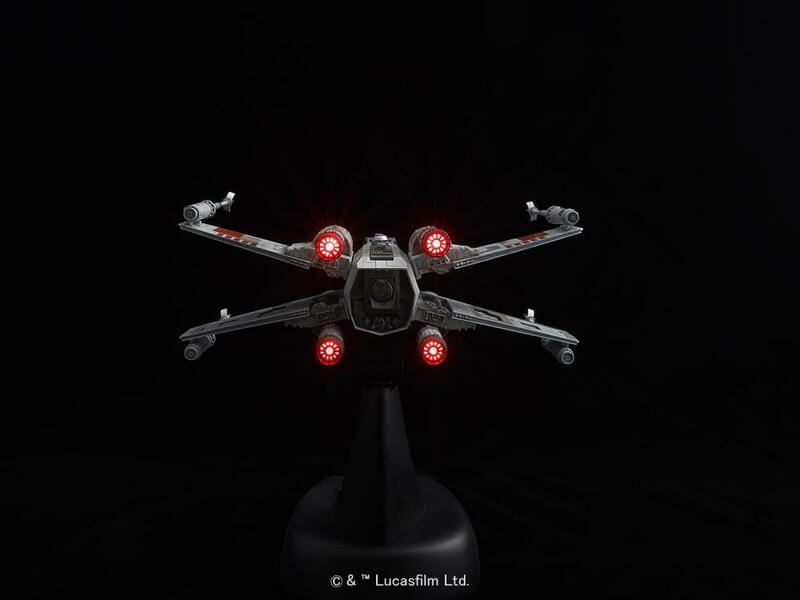 Reproduce Proton Torpedo attacks with fantastic lights and sound! 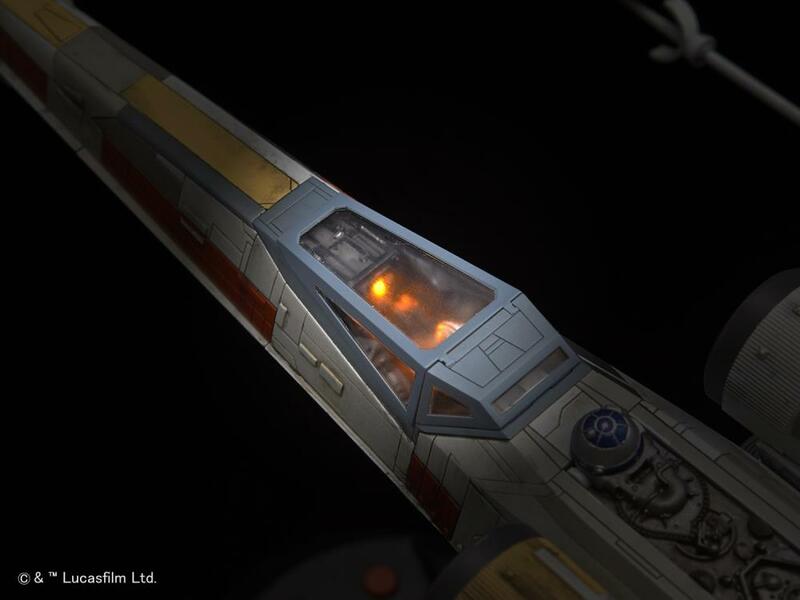 The S-foils open and close by themselves and LEDs in the rear engine and cockpit light up for added realism! Set includes original stand with effect switches.